When using artificial turf, you needn’t worry about creating the best shapes for mowing or irrigating, so you have more design flexibility. 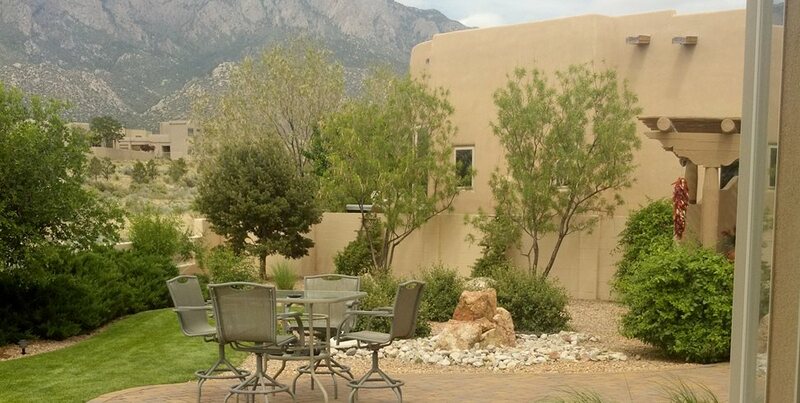 It’s a good idea to place your lawn just off the patio to extend your usable landscaping space. Designing a lawn is like designing any part of your landscape. 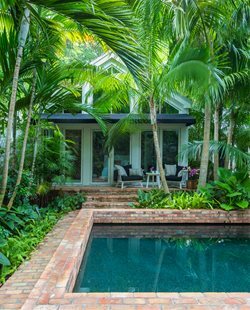 You’ll need to consider how you plan to use the space, your architectural as well as personal style, and the amount of energy you want to spend caring for it. Here, landscape professionals share their tips for designing the perfect lawn. There are number of considerations that go into choosing the size of your lawn. Families with children and pets will have different needs than will a retired couple who travel a lot, and issues such as installation cost, water use, and lawn maintenance also play a part in the decision. In addition to mowing, lawns need edging, fertilizing, aeration and overseeding, and periodic weed and pest control. “If you want a nice lawn, you really need to give it a good care program,” says Mark Paine of Sposato Landscape in Milton, DE. A smaller lawn needs proportionally less care. While the water needs of a lawn vary greatly due to soil type, weather, and the variety of grass seed you use, turf needs an average of 1 inch of water per week during the growing season. Most people install a sprinkler system to help automate this process. In comparison to planter beds or patios, lawn is downright inexpensive to install. 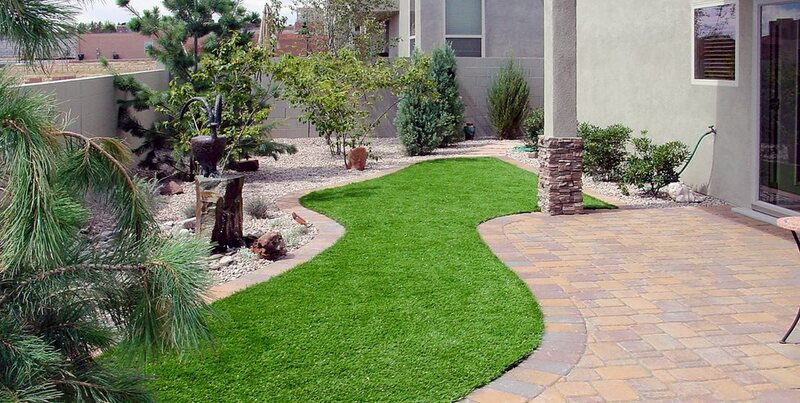 That said, choosing sod or artificial turf instead of a seeded lawn will raise the cost of your lawn installation. In addition, a larger lawn will require more sprinklers, which also has an impact on price. Of course, your own personal taste will also contribute to the decision. “I like turf,” says Brian Beane of Nature’s Select in Winston Salem, NC. “The more turf I have, the more I like it.” If you share Beane’s enjoyment of a large open space, he suggests that you pay attention to the areas where turf is less effective, such as around trees, and create landscaped beds just in those areas. Because lawn can double as a pathway or entertaining area, it’s nice to have the lawn just off the patio to expand the usable space in your landscape. A lush carpet of green lawn looks beautiful in the foreground of planting beds, and the openness of a grassy area makes a good visual contrast to the varied sizes and shapes of trees and shrubs. Turfgrass grows best with six or more hours of direct sunshine per day. “Grass won’t grow in a closet,” says Beane. Though there are shade-tolerant varieties of grass, no lawn will do well without at least a few hours of direct sunshine each day. If you’ll be hiring a lawn care crew, you’ll need to plan for them to access your lawn with their equipment. “Good access is a 4’ wide gate with a flat surface to walk on,” says Daniel McClure of LKM Mowing and Landscaping in Normal, IL. A 3.5’ wide or smaller gate, or grade changes such as stairs place a limit on which mowers can be used. While your lawn care service can use a small push mower for yards with poor access, that increases the time and cost for service. It’s best not to plant lawn right around the base of trees. Not only do trees shade out a lawn, but their root systems can sap turfgrass of nutrients and water. Paine advises that if you have a tree with a 25’ wide canopy, you create a 25’ wide landscaped bed around it so that both trees and turf can thrive. Turf can’t grow in a bog, so if you wish to place your lawn in a low spot of your yard, it’s a good idea to create some kind of lawn drainage system nearby to make sure the lawn doesn’t turn into a muddy mess in winter. 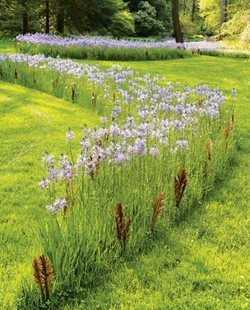 Aesthetics are of prime consideration when designing your lawn, but looks aren’t the only thing to keep in mind. The design of your lawn can also determine how easy it is to mow, edge, and irrigate your lawn. 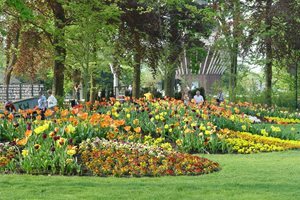 A naturalistic landscape has curved borders and asymmetrical proportions, and may include rolling mounds or berms, informal planting islands within the lawn, or boulders used for retainment or edging. A contemporary landscape, by contrast, utilizes geometric shapes such as squares, rectangles and circles to harmonize with the strong lines of the architecture. When choosing the shape of your lawn, McClure points out that broad curves are easier to mow than tight, congested corners. If you prefer a square or rectangular shape, try to allow room on either side of the lawn for you to turn the mower around on each pass. 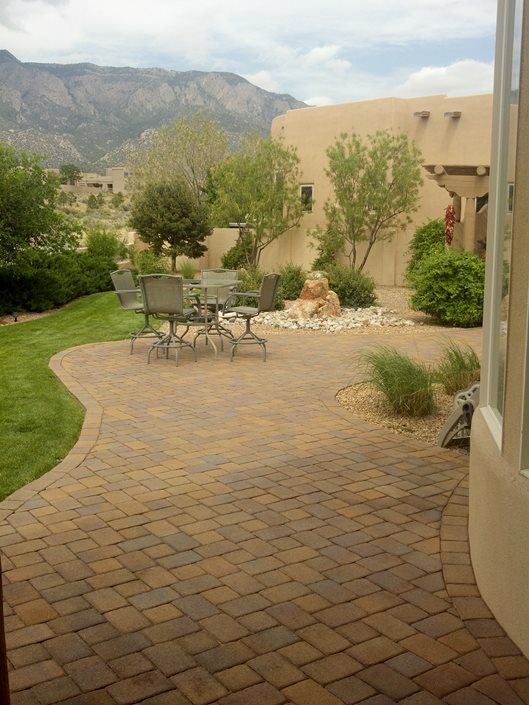 It’s easiest to get full, head-to-head coverage over a square or rectangular lawn shape. When irrigating curves, especially tight curves, expect some overspray into surrounding garden beds. The type of edging you have determines whether you’ll need to use a string trimmer to keep the borders of your lawn neat. With metal edging, brick, or concrete curbing, you can run the mower right over the edging, eliminating the need to string-trim. Edging materials with an irregular shape, such as stone, will need to be string-trimmed. 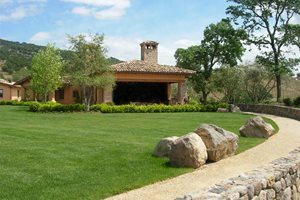 “Stone outcroppings are one of my favorite design elements because they can tie your landscape into a theme of your subdivision or neighborhood, or even tie it into the natural stone that is in your area,” says McClure. You might be tempted to think that all lawns are pretty much the same, but there are numerous varieties of turfgrass and installation methods which can have an impact on looks, maintenance, water needs, and price. Sod is a sheet of soil and turfgrass that is delivered in rolls. Your landscaper grades the soil, then rolls out the sod for an instant green look. The benefit of sod is that the initial care needed to help it establish is minimal, but the downside is that sod is comprised of one variety of grass, so sod lawns can be more susceptible to disease and pests than a lawn comprised of multiple varieties. Starting a lawn from seed is the cheapest route, as homeowners can just scatter seed on their prepared area. When using seed or hydroseed, you have the freedom to select the most appropriate grass or blend of grasses for your lawn. 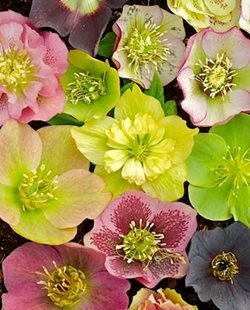 However, when establishing seed, the lawn will need ample, regular water, and since you’re creating conditions where seeds can germinate, seeding a lawn often produces weeds as well. A hydroseed machine agitates a blend of seed, fertilizer, and papery mulch in a tank, and your landscaper uses it to spray lawn seed into place. This is a fast and cost-effective way of seeding large areas of lawn, especially in areas where a few weeds aren’t of paramount concern. Artificial turf is a no-maintenance alternative to grass. It needs zero care beyond keeping it free of debris, and is great for backyard putting greens, and small to medium-sized areas of lawn for sports or entertaining. 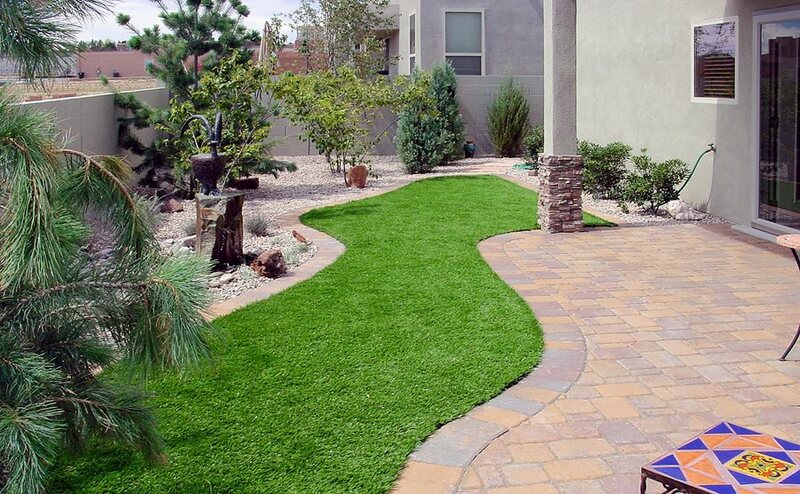 However, artificial turf is more expensive than seed or sod, so the cost can be prohibitive for large areas. Scientists are developing a number of new no-mow strains of grass which are available to buy in seed form, or plugs which can be individually planted. The benefit is that many of these no-mow types of lawn also need less water and fertilizer, but the downside is that many grow taller and have a shaggy look that doesn’t go with every landscaping style.